The Santamaría Estate Coffee farm is located in Paso Ancho, locality of Cerro Punta, Bugaba district, Province of Chiriquí, Republic of Panama. 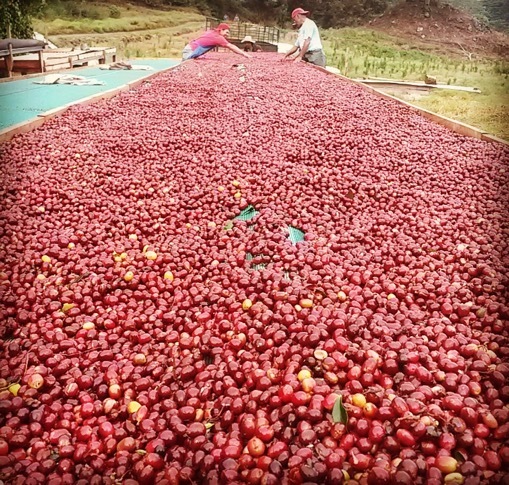 The lowest point of the farm planted with coffee is 1564 m.a.s.l. while the highest point reaches up to 1946 m.a.s.l. The total farm area is 120 ha of which currently 60 ha are planted with coffee of varieties Caturra, Typica or Criollo and Geisha. The soils have special volcanic characteristics and together with certain amount of rainfall per year and varieties of high quality Arabica coffee produce coffee beans that have very special aroma, acidity and body. 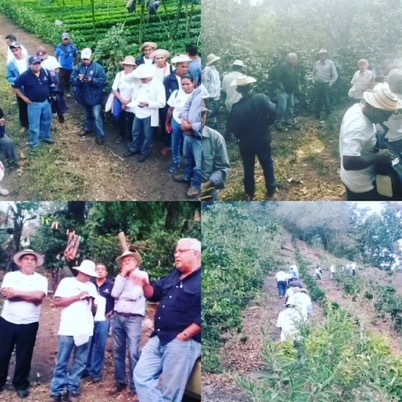 This farm was taken into operation in 1950 by its founder Don Urbano Santamaría (RIP) who established the coffee plantations to sell to the Martins family, the owner of the Finca La Florentina S.A., situated in the neighbourhood of the property of Ing. Santamaría. He began planting tall Arabica varieties like Criollo, Bourbon and Mundo Novo at a density of 1800 seedlings per hectare. Due to health reasons Don Urbano Santamaría handed over the administration of his estate in 1980 to Don José Luis Santamaría, who continued with the farming practices and maintenance of the estate. He began to plant low tree but high-yielding variety such as Caturra, which has become predominant variety on the farm and currently accounts for 80% of its production. In the 1990s Ing. Edwin Santamaría took over the management of the farm bringing a new dynamic to it, improving the planting and production processes that helped to increase productivity and significantly improved coffee quality. It is already the third generation of coffee farmers devoted to their work. Due to the introduction of the Caturra variety on the farm, the planting density had been increased to 3 600 seedlings per hectare as Caturra was replanted in between tall varieties. 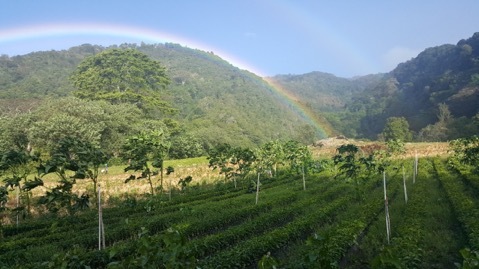 This produced a unique combination in all lots, and at that time this diversity resulted in high-quality coffee and improved production per hectare. 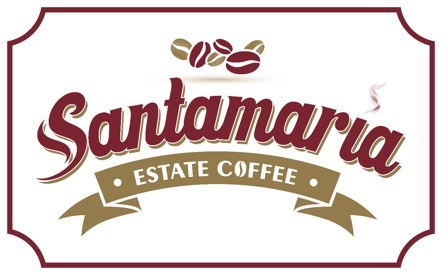 The brand name of the specialty coffee produced by the company is SANTAMARÍA ESTATE COFFEE. The farm produces specialty coffee of high altitude (from 1 564 to 1 946 m above sea level). The coffee produced at this height is of excellent quality, and it has all the characteristics to be graded as specialty coffee SHB (Strictly Hard Bean) on the international market. The coffee was cupped by local and international specialists and green label characterized by its distinctive aroma, flavor and body, meanwhile the cup profile showed chocolate notes, with a medium to high acidity and a pleasant aftertaste. The farm is looking to apply environmentally friendly agricultural practices for example applying organic agricultural products and in green label it is not allowed to apply insecticides, cut the trees and hunt. In addition, the farm keeps certain areas as a forest reserve with sources of crystalline potable water that provide water to cooperating families and also to the ecological processing plant.